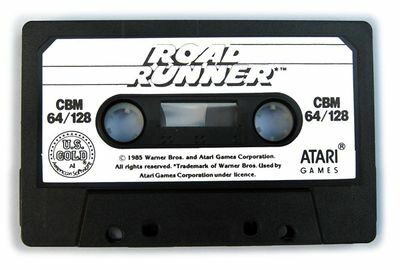 Company Atari Games, Warner Bros.
7.41 points at 22 votes (rank 230). 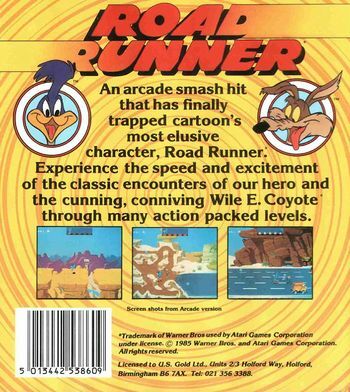 In Road Runner everything is about the two cartoon characters Road Runner and Wile E. Coyote by Chuck Jones, which appear in the cartoons by the Warner Bros.productions Looney Tunes and Merrie Melodies. The aim is - being "Road Runner" (which is the fastest creature in the world) - to always escape the permanently hungry coyote named Wile. In each of the 16 levels Road Runner (or respectively you) needs to reach the goal at the left border of the screen before Wile gets him. 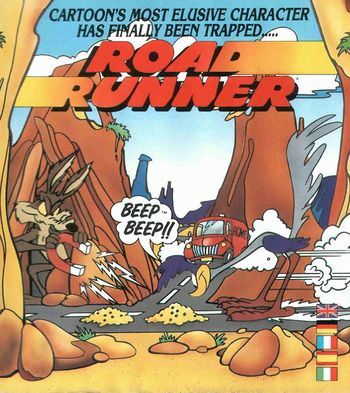 As Road Runner can run faster than Wile, this should be no problem. But he has to eat birdseed regularly, which makes the advance melt away often enough. At some places of the track there are machines hidden that help Wile considerably with his chase. So Wile graps a skateboard with rocket propulsion, a helicopter knapsack or a missile. But each of these tools has its disadvantages. Each machine destroys itself after a while and Wile stands around charred-black and smoking. Further obstacles appear in the shape of cars, stones, landmines, abysses, lemonade, cannons and invisible colour. If you have to restart the game, you can get instantly to the last level in which you have failed the last time with the help of a shortcut (Short-Cut). 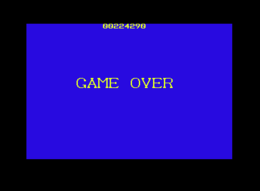 Simple but smoothly horizontally scrolling background graphics and good animation of the sprites, appropriate background music but a bit to sensitive controls and unfortunately no highscore list. 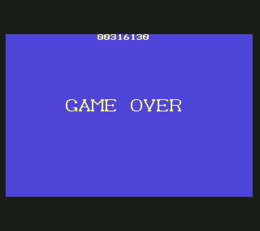 The game is started by pressing the fire button in the title screen. Road Runner needs much birdseed. If Road Runner misses 5 heaps of birdseed, he loses a life. For each desctruction of Wile you get bonus points. Also Wile can be run over by cars or hit by cannon balls. Drinking lemonade costs time, but gets you bonus points. If you collect all the birdseed in a level you get a super bonus (10000 points). For each jumped mine you also get a bonus. The re-release version by Remember (+15) offers next to different fixes and the manual also all thinkable settings for cheatmodes as: unlimited lives, no collision query, choose starting level or jump level during the game, etc. H.T.W: "The pushing music and the funny sound snippets fit the game very well and I also like the smoothly scrolling background and the funny sprite animations. The controls sometimes feel a bit too fluttery so it can happen that our bird keeps "stuck" at the corner of the landscape for a short time. Altogether a good game, if it was not for the extremely rising difficulty grade in the higher levels. 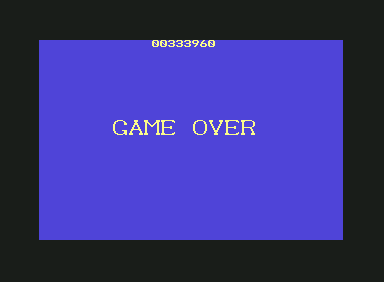 Unfortunately there is no highscore list and also the end screen is disappointing. It only consists of the text message "Thats all Folks", they probably did not anticipate that somebody would see that. However, it is worth a game every now and then.". Sandy: "Beep-Beep"! Nice realization of the very popular Road Runner. Unfortunately later very frustrating, but clad with nice graphical gags. Definitely one of the better cartoon adaptions." Robotron2084: "Superbly realized and in my opinion even better playable that the original on the machine. The breathless action practically never stops and Fred Gray's Sid versions of the kooky "turbo classic" do the rest to put the atmosphere nearly perfectly across. 8 out of 10 points." Video longplay (the last 4 levels) by "Der Schmu"
This page was last modified on 22 October 2017, at 19:48.